know when disasters will strike. can cause trees to fall unexpectedly. We can help on short notice! 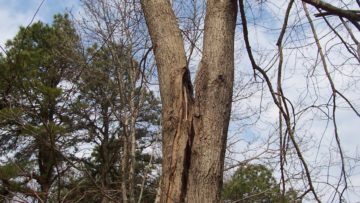 If a tree becomes unsafe or undesirable in your yard, our skilled, experienced arbor care professionals will safely and efficiently remove it. 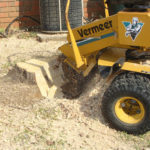 Dead or dying trees can often become a breeding ground for harmful insects and diseases, so it is advisable to remove any such trees from your landscape or before home & property damage occurs. 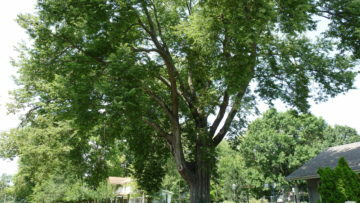 Thinning out the branches of your large shade trees will also allow air to pass through more easily, thus reducing the sail effect during high winds and preventing storm damage. 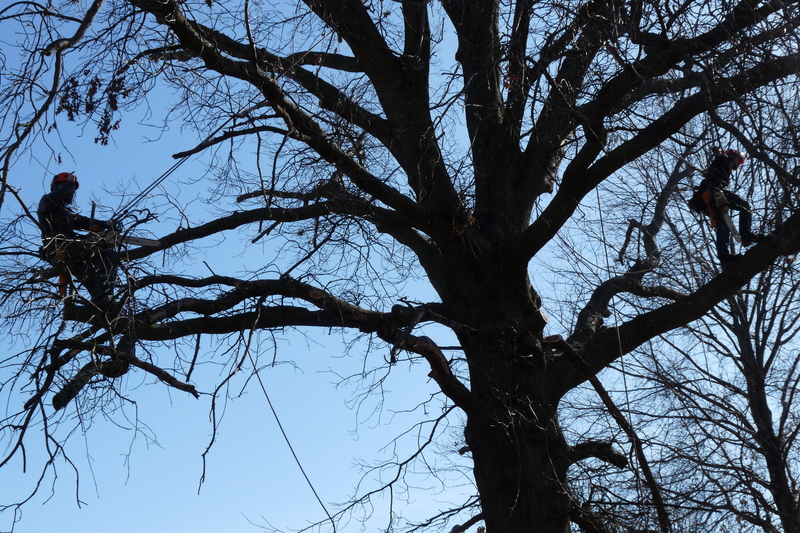 Periodic tree pruning makes trees safer, healthier, and better shaped & more attractive. 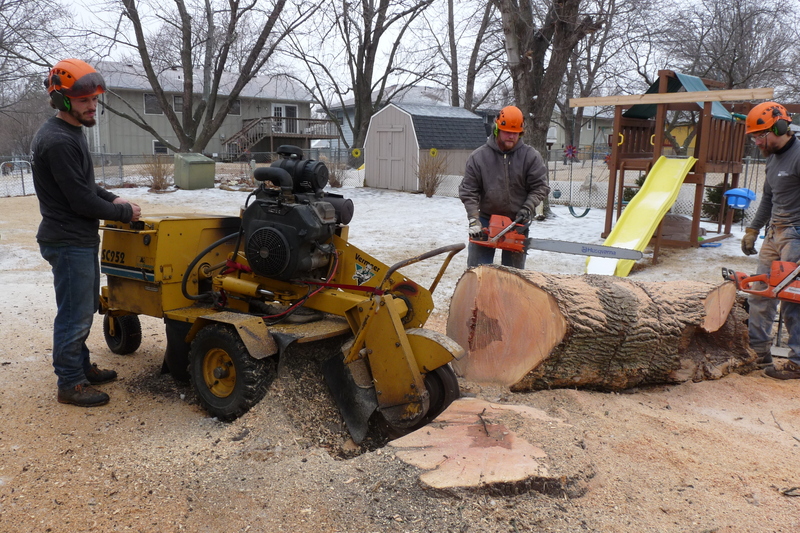 Simply the best tree service in Lawrence, Topeka, and the greater Kansas City metro area. 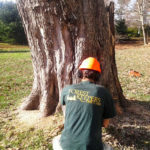 We provide complete tree care services for every situation — tree planting, fertilization, insect control, pruning & shaping, trimming, or complete tree removal and stump grinding. 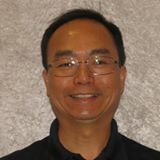 We emphasize care & safety so you have no worries about your home or property! Call us at (785) 430-4343 or (913) 535-4300 and our estimator will answer any of your questions and set up a time to look at your trees! 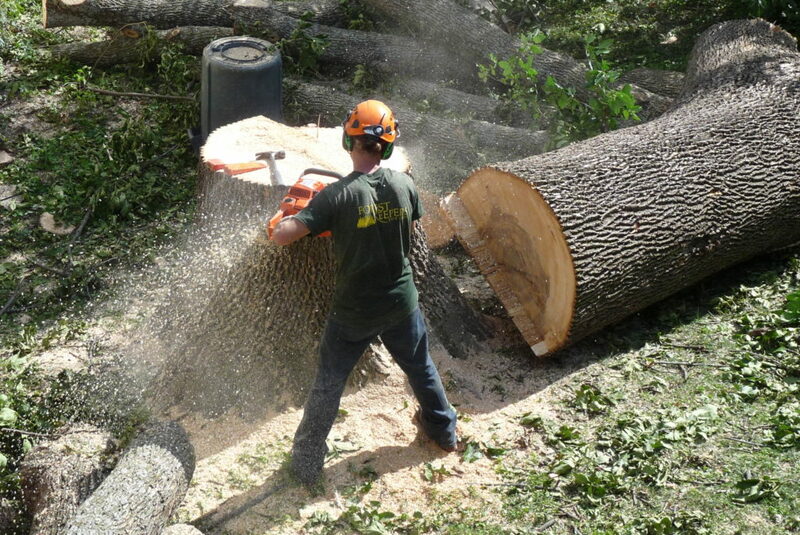 We are highly skilled arbor care professionals with decades of shared experience! Climbing, rigging, and controlled removals are a specialty. We have professional, industrial-grade equipment to cope with even the toughest demands. Yet we also have a delicate touch for fine pruning work for your ornamental trees and shrubs. Safety is always a high priority and we take careful measures to ensure your home and property isn't damaged. Our crew is family friendly (being family men ourselves), so you don't have to worry about the atmosphere around your children or pets while we work at your property. 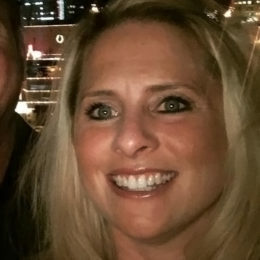 We are a local, family-owned business, not some large, uncaring national franchise. We value the personal touch in all our work! The highest quality work and efficient speeds, while still providing careful cleanup, leaving your property better than we found it. We always stand behind the work we do and value your satisfaction above all else. We strive to earn your trust and repeat business. We don't leave the job unfinished or incomplete in any way. We want you to be 100% satisfied — Guaranteed! You've heard it from your neighbors and seen our online five star reviews. 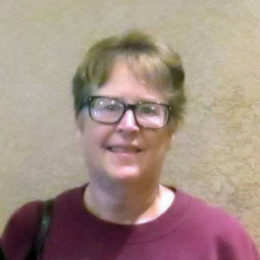 Find out what Forest Keepers can do for you! 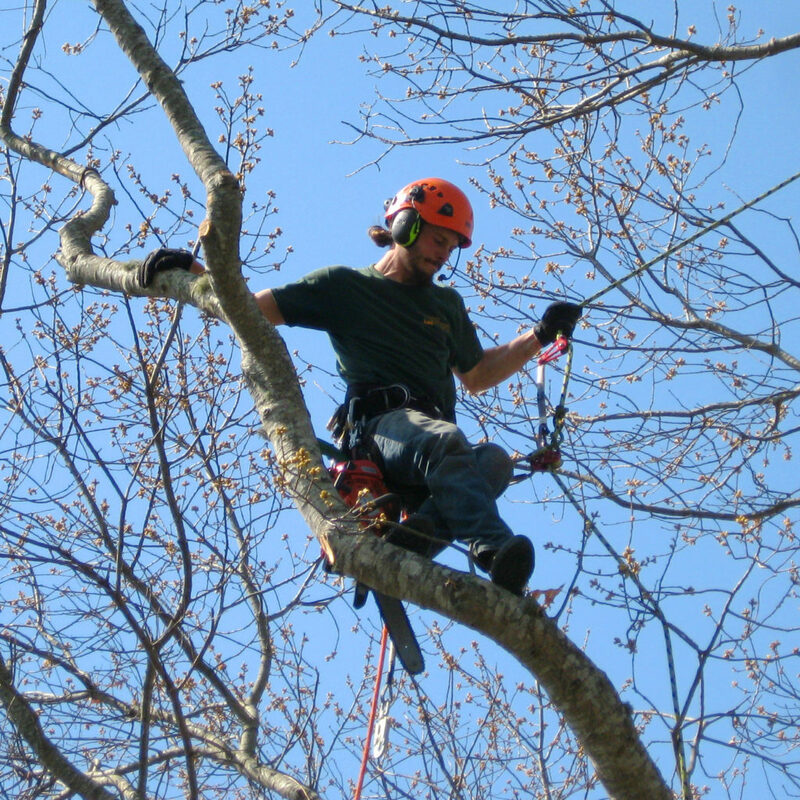 If you have a tree care need, call us for help. We have been listed with HomeAdvisor since the beginning, and are honored to be awarded a Top Rated badge, with over 50 5-Star Reviews! 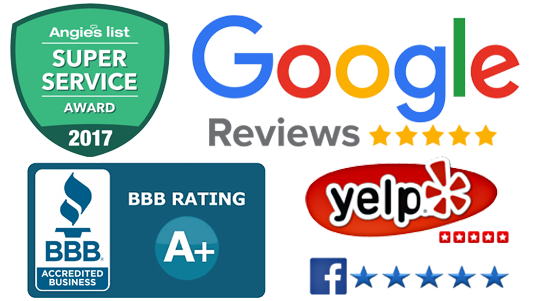 Also, we are Better Business Bureau accredited with an A+ rating. 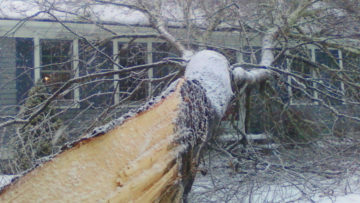 remove dangerous or threatening trees from your property.